Choose the transmission that meets your needs. The 580 drive, rated up to 5 HP , provides all the power necessary for most barn cleaning chores, and pulls up to 500 feet of chain. 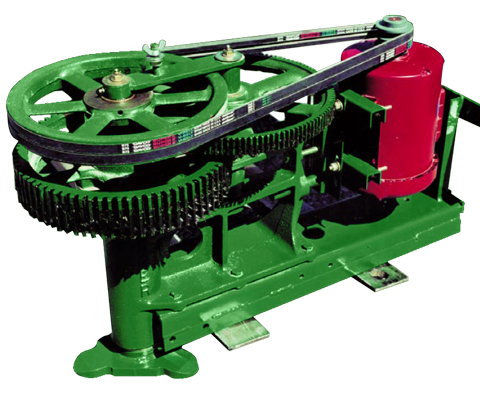 For those extra long, hard-to-pull jobs, choose the super 770, which is rated up to 7-1/2 HP and pulls up to 700 feet of chain. Here’s where durability begins, Badger Barn Cleaner elevators are built from Cor-ten Steel! Cor-Ten steel is up to 8 times more corrosion resistant than the steel used by most competitors. It is also 20% stronger. 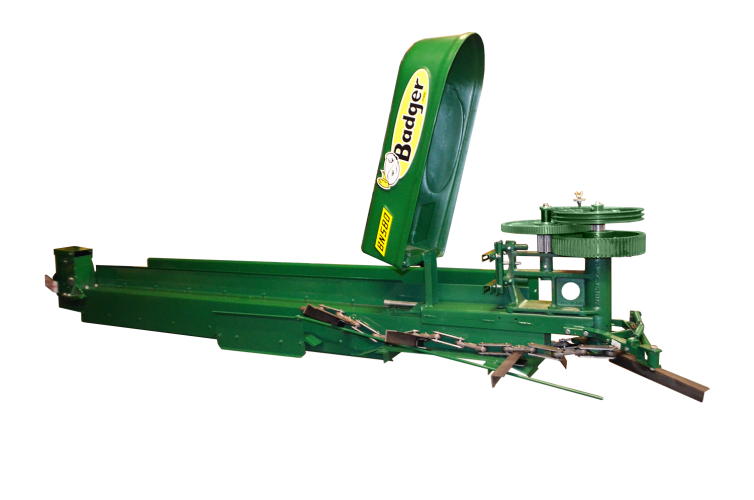 Badger elevators are available with flat or “TIP-UP” paddle return. Simply stated, Badger Barn Cleaners last a whole lot longer than others. High carbon heat treated forging have thickness where it counts for extended wear life and strength. Large diameter alloy pins (3/4”). 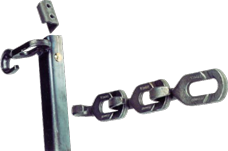 The pins are beveled for more surface area contact while the chain goes through inclines and declines. 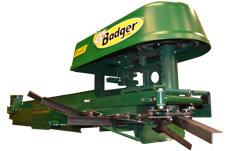 Badger’s paddle wiper wipes each individual paddle clean assuring no manure carry over. Turning corners is trouble free with the Badger corner roller. 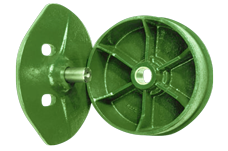 Big 12” corner rollers are made of high quality cast iron with 1-1/2” greasable bronze bearings. 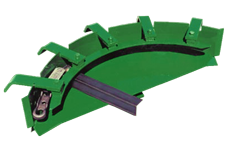 Grooved feature prevents uncoupling during normal operations. 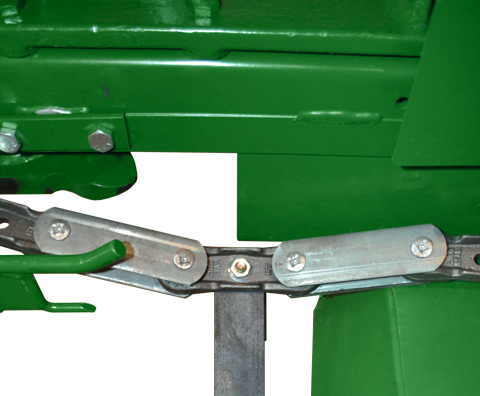 HOOK-LOK® is forged from high carbon steel and heat treated for unsurpassed strength and durability.